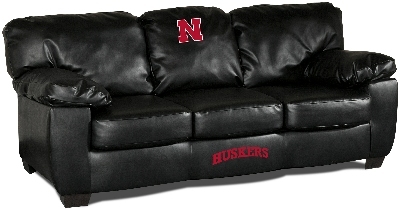 Imperial is proud to present its officially licensed Leather Sofa, named the "Classic". Grab some of your favorite friends and enjoy the game. Very contemporary design, featuring black leather all over the sofa. Custom manufactured in North Carolina.